POPULISM’S wave has yet to crest. That is the sobering lesson of recent elections in Germany and Austria, where the success of anti-immigrant, anti-globalisation parties showed that a message of hostility to elites and outsiders resonates as strongly as ever among those fed up with the status quo. Economic theory suggests that regional inequalities should diminish as poorer (and cheaper) places attract investment and grow faster than richer ones. The 20th century bore that theory out: income gaps narrowed across American states and European regions. No longer. Affluent places are now pulling away from poorer ones (see article). This geographical divergence has dramatic consequences. A child born in the bottom 20% in wealthy San Francisco has twice as much chance as a similar child in Detroit of ending up in the top 20% as an adult. Boys born in London’s Chelsea can expect to live nearly nine years longer than those born in Blackpool. Opportunities are limited for those stuck in the wrong place, and the wider economy suffers. If all its citizens had lived in places of high productivity over the past 50 years, America’s economy could have grown twice as fast as it did. Divergence is the result of big forces. In the modern economy scale is increasingly important. The companies with the biggest hoards of data can train their machines most effectively; the social network that everyone else is on is most attractive to new users; the stock exchange with the deepest pool of investors is best for raising capital. These returns to scale create fewer, superstar firms clustered in fewer, superstar places. Everywhere else is left behind. What to do? One answer is to help people move. Thriving places could do more to build the housing and infrastructure to accommodate newcomers. Accelerating the reciprocal recognition of credentials across state or national borders would help people move to where they can be most productive. But greater mobility also has a perverse side-effect. By draining moribund places of talented workers, it exacerbates their troubles. The local tax-base erodes as productive workers leave, even as welfare and pension obligations mount.To avoid these outcomes, politicians have long tried to bolster left-behind places with subsidies. But such “regional policies” have a patchy record, at best. South Carolina lured BMW to the state in 1992 and from it built a thriving automotive cluster. But the EU’s structural funds raise output and reduce unemployment only so long as funding continues. California has 42 enterprise zones. None has raised employment. Better for politicians to focus on speeding up the diffusion of technology and business practices from high-performing places. A beefed-up competition policy could reduce industrial concentration, which saps the economy of dynamism while focusing the gains from growth in fewer firms and places. Fostering clusters by encouraging the creation of private investment funds targeted on particular regions might help.Perhaps most of all, politicians need a different mindset. For progressives, alleviating poverty has demanded welfare; for libertarians, freeing up the economy. Both have focused on people. But the complex interaction of demography, welfare and globalisation means that is insufficient. Assuaging the anger of the left-behind means realising that places matter, too. (abstract). This article appeared in the Leaders section of the print edition under the headline “Left behind” The Economist. Rwanda’s president of 17 years, Paul Kagame (pictured), will be re-elected for a third term (the result is not in question). This concludes a process that began in 2015 when his party, the ruling Rwandan Patriotic Front, proposed a constitutional amendment to allow Mr Kagame to outstay the two-term limit. In neighbouring Democratic Republic of Congo the president, Joseph Kabila, has long been mulling a similar ruse. He should have left office last December. In nearby Burundi, Pierre Nkurunziza announced in 2015 that he would stand for a controversial third term as president. A plan to amend or ditch term limits entirely is expected to be announced this autumn. And tomorrow, August 5th, Mauritanians will vote in a constitutional referendum that critics see as paving the way for a third term, too. If they succeed, these presidents will join the ranks of the 13 African heads of state who have successfully rolled back term limits. Why are they doing this? Term limits became common in Africa with the wave of democratisation that swept the continent in the 1990s. Most countries included them in their constitutions after pressure from America and African democracy activists. Today there is widespread support for them. Afrobarometer, a polling firm, found that about three-quarters of people in 34 African countries said that presidential mandates should be restricted to two terms. Rwanda is an exception: nearly 4m Rwandans signed a “spontaneous” petition to let Mr Kagame stay on, and only ten people openly opposed it. But Mr Kagame rules his country through fear. In other countries, such as Burkina Faso in 2014, street protests forced the then president, Blaise Compaoré, to backtrack and flee the country. In 2015 Mr Kabila’s neighbour across the river in Congo-Brazzaville, Denis Sassou-Nguesso, successfully won a referendum allowing a third term—but provoked violent unrest in the process. Burundi has been in bloody turmoil ever since Mr Nkurunziza’s declared his third-term intentions. Presidents go ahead because they know the costs of doing so are low. Mr Kagame, still feted by foreign donors and prominent world leaders despite his growing authoritarianism, knew he could change the constitution without provoking a backlash from the international community. Mr Sassou-Nguesso made the same calculation. The Congolese president is seen by many, including France, the former colonial power, as a reliable partner, and the country is regarded as an island of stability in an otherwise troubled region. Moreover the rising influence of China means that African presidents know the West’s leverage is weaker than it once was. They also know that its priorities have shifted: combating jihadism is today more important than promoting democracy. There is no question who has the better of this argument. Mr Trump’s doctrine that trade must be balanced to be fair is economically illiterate. His belief that tariffs will level the playing field is naive and dangerous: they would shrink prosperity for all. But in one respect, at least, Mr Trump has grasped an inconvenient truth. He has admonished Germany for its trade surplus, which stood at almost $300bn last year, the world’s largest (China’s hoard was a mere $200bn). His threatened solution—to put a stop to sales of German cars—may be self-defeating, but the fact is that Germany saves too much and spends too little. And the size and persistence of Germany’s savings hoard makes it an awkward defender of free trade. At bottom, a trade surplus is an excess of national saving over domestic investment. In Germany’s case, this is not the result of a mercantilist government policy, as some foreigners complain. Nor, as German officials often insist, does it reflect the urgent need for an ageing society to save more. The rate of household saving has been stable, if high, for years; the increase in national saving has come from firms and the government. Underlying Germany’s surplus is a decades-old accord between business and unions in favour of wage restraint to keep export industries competitive (see article). Such moderation served Germany’s export-led economy well through its postwar recovery and beyond. It is an instinct that helps explain Germany’s transformation since the late 1990s from Europe’s sick man to today’s muscle-bound champion.There is much to envy in Germany’s model. Harmony between firms and workers has been one of the main reasons for the economy’s outperformance. Firms could invest free from the worry that unions would hold them to ransom. The state played its part by sponsoring a system of vocational training that is rightly admired. In America the prospects for men without college degrees have worsened along with a decline in manufacturing jobs—a cause of the economic nationalism espoused by Mr Trump. Germany has not entirely escaped this, but it has held on to more of the sorts of blue-collar jobs that America grieves for. This is one reason why the populist AfD party remains on the fringes of German politics. TURKS go to the polls this Sunday, April 16th, to choose between the parliamentary system they have lived under for nearly a century and a new constitution that would concentrate all executive power in the hands of their president. A “yes” vote would overhaul the state in its present form, abolishing the post of prime minister, sidelining parliament, and formalising a system in which the president answers no one except voters. A “no” would mark a major setback for Recep Tayyip Erdogan, Turkey’s president, though far from a fatal one. Yet there is much more riding on the outcome than one man’s political fortunes. What is at stake? Turkey’s judiciary would be among those to suffer the most. In the 2000s Mr Erdogan’s government allowed the Gulen community, a secretive Islamic movement, to pack the justice system with its sympathisers. All hell broke loose when the two allies turned on each other. Prosecutors and police officials close to the Gulenists implicated Mr Erdogan and his allies in a cascading corruption scandal in 2013; thousands of them were purged in response. When army officers close to the movement were accused of spearheading a violent coup in the summer of 2016, the purge intensified. Over the past nine months, the government has sacked a quarter of all judges and prosecutors over suspected Gulen links. More than 2,500 of them are currently behind bars, leaving the judiciary depleted and terrified of rubbing Mr Erdogan the wrong way. The new constitution would make the justice system even more beholden to Mr Erdogan and his party. At the moment, the president appoints four of the 22 members of the country’s most influential judicial body, the high council of judges and prosecutors. The rest are elected by their peers. The new constitution would decrease the number of members and allow Mr Erdogan and his allies in parliament to appoint all of them. None of the appointments would be subject to hearings. The new constitution would also place the legislative branch at the disposal of the executive. A key change would allow the president to retain links with his party, handing Mr Erdogan the power to keep his Justice and Development (AK) party in check by choosing parliamentary candidates. Parliament’s powers of scrutiny would also change. According to current rules, MPs can address oral questions to the prime minister and cabinet members. The proposed amendments would allow only for written questions, and only to ministers and vice presidents, instead of the president. In areas where parliament has not passed any laws the president would have the right to issue decrees. A new provision would widen the scope for Mr Erdogan’s impeachment by parliament, though it would set the bar for removing him from office exceptionally high. Proposing an investigation would require a simple majority in pariament, but opening one would require 60% of MPs to agree. The final decision would rest with the constitutional court, composed almost entirely of the president’s appointees. Parliamentary and presidential elections would be held simultaneously every five years. In theory, each institution could keep the other in check by keeping a finger on the eject button: the president and the parliament would be able to cut short each other’s mandates, as well as their own, by calling early elections. AMERICAN workers without college degrees have suffered financially for decades—as has been known for decades. More recent is the discovery that their woes might be deadly. In 2015 Anne Case and Angus Deaton, two (married) scholars, reported that in the 20 years to 1998, the mortality rate of middle-aged white Americans fell by about 2% a year. But between 1999 and 2013, deaths rose. The reversal was all the more striking because, in Europe, overall middle-age mortality continued to fall at the same 2% pace. By 2013 middle-aged white Americans were dying at twice the rate of similarly aged Swedes of all races (see chart). Suicide, drug overdoses and alcohol abuse were to blame. By Zanny Minton Beddoes, Editor-in-Chief. THE fall of the Berlin Wall, on November 9th 1989, was when history was said to have ended. The fight between communism and capitalism was over. After a titanic ideological struggle encompassing the decades after the second world war, open markets and Western liberal democracy reigned supreme. In the early morning of November 9th 2016, when Donald Trump crossed the threshold of 270 electoral-college votes to become America’s president-elect, that illusion was shattered. History is back—with a vengeance. The fact of Mr Trump’s victory and the way it came about are hammer blows both to the norms that underpin politics in the United States and also to America’s role as the world’s pre-eminent power. At home, an apparently amateurish and chaotic campaign has humiliated an industry of consultants, pundits and pollsters. If, as he has threatened, President Trump goes on to test the institutions that regulate political life, nobody can be sure how they will bear up. Abroad, he has taken aim at the belief, embraced by every post-war president, that America gains from the often thankless task of being the global hegemon. If Mr Trump now disengages from the world, who knows what will storm through the breach? Anger has sown hatred in America. Feeling themselves victims of an unfair economic system, ordinary Americans blame the elites in Washington for being too spineless and too stupid to stand up to foreigners and big business; or, worse, they believe that the elites themselves are part of the conspiracy. They repudiate the media—including this newspaper—for being patronising, partisan and as out of touch and elitist as the politicians. Many working-class white voters feel threatened by economic and demographic decline. Some of them think racial minorities are bought off by the Democratic machine. Rural Americans detest the socially liberal values that urban compatriots foist upon them by supposedly manipulating the machinery in Washington (see article). Republicans have behaved as if working with Democrats is treachery. Mr Trump harnessed this popular anger brilliantly. Those who could not bring themselves to vote for him may wonder how half of their compatriots were willing to overlook his treatment of women, his pandering to xenophobes and his rank disregard for the facts. There is no reason to conclude that all Trump voters approve of his behaviour. For some of them, his flaws are insignificant next to the One Big Truth: that America needs fixing. For others the willingness to break taboos was proof that he is an outsider. As commentators have put it, his voters took Mr Trump seriously but not literally, even as his critics took him literally but not seriously. The hapless Hillary Clinton might have won the popular vote, but she stood for everything angry voters despise.The hope is that this election will prove cathartic. Perhaps, in office, Mr Trump will be pragmatic and magnanimous—as he was in his acceptance speech. Perhaps he will be King Donald, a figurehead and tweeter-in-chief who presides over an executive vice-president and a cabinet of competent, reasonable people. When he decides against building a wall against Mexico after all or concludes that a trade war with China is not a wise idea, his voters may not mind too much—because they only expected him to make them feel proud and to put conservative justices in the Supreme Court. Indeed, you can just about imagine a future in which extra infrastructure spending, combined with deregulation, tax cuts, a stronger dollar and the repatriation of corporate profits, boosts the American economy for long enough to pacify the anger. This more emollient Trump might even model himself on Ronald Reagan, a conservative hero who was mocked and underestimated, too.Nothing would make us happier than to see Mr Trump succeed in this way. But whereas Reagan was an optimist, Mr Trump rails against the loss of an imagined past. We are deeply sceptical that he will make a good president—because of his policies, his temperament and the demands of political office. Abroad Mr Trump says he hates the deal freezing Iran’s nuclear programme. If it fails, he would have to choose between attacking Iran’s nuclear sites and seeing nuclear proliferation in the Middle East (see article). He wants to reverse the Paris agreement on climate change; apart from harming the planet, that would undermine America as a negotiating partner. Above all, he would erode America’s alliances—its greatest strength. Mr Trump has demanded that other countries pay more towards their security or he will walk away. His bargaining would weaken NATO, leaving front-line eastern European states vulnerable to Russia. It would encourage Chinese expansion in the South China Sea. Japan and South Korea may be tempted to arm themselves with nuclear weapons. Nella sezione Europe, l’articolo sul vacillante governo italiano e l’ostinazione di Berlusconi Slipping into darkness. Nella sezione Europe, la rubrica Charlemagne High noon over Palestine sulla posizione dell’Europa di fronte alla richiesta palestinese di riconoscimento dello stato palestinese, tema che viene ripreso anche nella sezione Leaders con l’articolo Yes to Palestine statehood. Nella sezione Leaders, la copertina sulla tassazione alle persone più agiate Hunting the rich. Nella sezione Leaders, l’articolo sulle economie emergenti e sulla difficoltà di replicare la straordinaria crescita dell’ultimo decennio Catching up is so very hard to do. Across the rich world the horns have sounded and the hounds are baying – and the wealthy are the quarry. In our cover leader we argue that, even though deficit cutting governments should focus on public spending, the rich will have to pay more tax, but we make clear that there are good and bad ways to make them do so. Silvio Berlusconi’s last stand How much longer can the old lothario go on? • Nella sezione Leaders, la copertina di questa settimana How to save the euro, un’analisi approfondita dello stato di crisi crescente della moneta unica, delle soluzioni disponibili e della disponiblità ad affrontarle. • Nella sezione Europe, la rubrica Charlemagne In the Brussel bunker che analizza la situazione politica dell’UE e le difficoltà verso una maggiore integrazione. • Nella sezione Leaders, l’articolo sulla riforma del sistema bancario nel Regno Unito Good fences. • L’articolo sul terremoto de L’Aquila Scientists at the dock – Scienziati al banco degli imputati, nella sezioneSciences&Technology a disposizione su richiesta. • L’articolo sul caos e le proteste suscitate dalla manovra proposta dal governo Berlusconi; il dilemma è se l’Italia possa davvero affondare l’euro: Trashing the lifeboat. 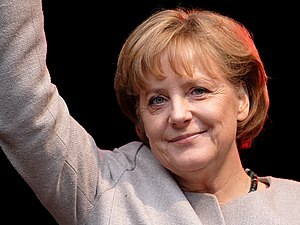 • L’articolo sulla leadership politica traballante di Angela Merkel e la perdita di fiducia nei suoi confronti: Angst over the euro. • L’analisi della politica difensiva americana degli ultimi dieci anni alla vigilia dell’anniversario dell’attacco alle torri gemelle: Ten years on. • L’articolo sulla Libia e la necessità che siano i libici a gestire tutto il processo di liberazione del Paese: Let them get on with it. • L’articolo che invita a ripensare gli investimenti sull’alta velocità ferroviaria in Gran Bretagna ed Europa: The great train robbery. La copertina sulla settimana di crisi per l’Italia che mostra una moneta unica sul filo del rasoio: On the edge. L’articolo sullo scandalo News of the World, in cui si auspica che la legge faccia il suo corso: An empire at bay. L’articolo sul risveglio democratico nel mondo arabo: It can still come right. La rubrica Charlemagne dedicata ai problemi dell’Euro, più politici che economici: The euro’s real trouble. L’articolo sull’eccezione estone, Paese che in tempo di crisi per l’Eurozona ha registrato invece una sostanziosa crescita dell’economia: Estonian exceptionalism. L’articolo sui successi degli Indignados spagnoli cui viene contestata l’assenza di obiettivi: Europe’s most earnest protesters. L’articolo sul “nuovo” governo di Erdogan in Turchia: The lofty Mr Erdogan. L’articolo sulla vendita di carri armati tedeschi all’Arabia Saudita: Tanks for sale. Seguono in fondo alla mail gli highlights dell’editore. The news is moving quickly this summer. 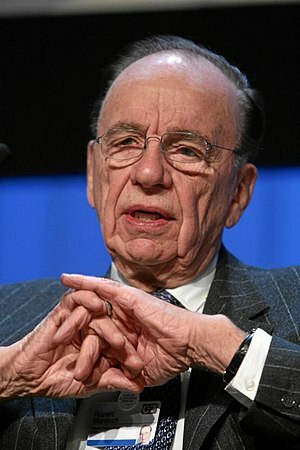 In barely two weeks Rupert Murdoch’s empire has suffered a dramatic reversal in fortunes. In our British cover leader we argue that the humbling of News Corporation will have many welcome consequences – but it may also have some less wholesome ones. Elsewhere we analyse a development that could have ruinous effects on the world economy, not just one company: the fact that this week the euro crisis moved on to Italy. In our cover leader outside Britain, we argue that the single currency itself is now at risk. Farewell to a good Habsburg Our obituary of Otto, the son of the last Austro-Hungarian emperor. • La rubrica Charlemagne: Default options – The euro zone’s leaders are seeing their political choices narrow. From the Economist this week. What could be worse for the euro than political instability in Italy? How about a government trying to buy popularity with higher public spending and/or tax cuts? That was the spectre conjured by Silvio Berlusconi after the local election run­ on this week, when his conservative government lost control of Milan, his home city and an unassailable fortress of the Italian right for two decades. The main reason Italy has escaped the euro­zone crisis is that Mr Berlusconi’s finance minister, Giulio Tremonti, has curbed his boss’s easy­spending, populist instincts and imposed strict fiscal discipline. He has done little to get the economy growing (Standard & Poor’s, a rating agency, has cut its outlook on Italy from stable to negative). But Mr Tremonti has reassured investors that Italy can finance its huge public debt (almost 120% of GDP). Yet soon after the elections it became clear that Mr Berlusconi wanted to change fiscal policy. Asked what he would do if his finance minister refused to loosen the purse strings, he replied: We’ll make them open. Tremonti doesn’t decide. Later he made a statement rearming his confidence in Mr Tremonti. But this is his third such disclaimer in a month. The pressure on him to splash out is severe. Milan was among 90 Italian towns and cities with run­on votes. Mr Berlusconi’s candidates took a beating. In Naples the opposition candidate won over 65% of the vote. The centre­right lost Arcore, the town near Milan where Mr Berlusconi has his main private residence and, it is alleged, held his Bunga Bunga parties. A trial in which he denies paying an underage prostitute to attend such a party resumed the day after the vote. The loss of Arcore was one of several that made these elections a personal calamity for Mr Berlusconi. Milan is his home city, from which he launched him­ self into politics 17 years ago, and the place he could rely on to back him in the darkest moments of his career. By putting himself on the slate of the outgoing mayor and declaring the election a national one, he turned it into a vote of confidence in his management of Italy. Two other things must worry Mr Berlusconi. One is that Milan is Italy’s bellwether: conventional wisdom has it that what the Milanese do today the rest of the country does tomorrow. Second, his Northern League coalition partners also took a thrashing. The loyalty of Umberto Bossi’s movement, which combines regionalism with populism and Islam homophobia, is vital to the government’s survival. Its poor showing in the frst round had persuaded many in the League that the time had come to sever links with Mr Berlusconi’s People of Freedom movement. The second round, in which the League lost control of the north­eastern city of Novara, will make that view more widely shared. Some of Mr Berlusconi’s opponents hailed the results as a sign that his long ascendancy in Italian politics was drawing to a close. But that is to jump to conclusions. As the prime minister quipped, even his successful AC Milan football team loses sometimes. These were mid­term elections that produced typical mid­term vic­ tors. The new mayor of Milan, Giuliano Pisapia , was not the choice of Italy’s biggest opposition group, the centre­left Democratic Party, but of the smaller and more radical Left, Ecology and Freedom movement, led by the governor of Puglia, Nichi Vendola. The winner in Naples was a maverick former prosecutor, Luigi de Magistris, who ran for the anti­corruption Italy of Principles party, founded by another former prosecutor, Antonio Di Pietro. Not the least of the questions posed by these elections was whether they presage a shift not just on the right, but also on the left. 7 Italy’s beleaguered prime minister. Milano 9 giugno 2011, ore 11.30 Piazza Mercanti 2 Palazzo Giureconsulti Sala Parlamentino Dibattito sulle prospettive dell’Italia in occasione dei 150 di Unità nazionale L’Italia ha molto di cui essere orgogliosi, tuttavia in occasione delle celebrazioni per l’Unità nazionale molti italiani si sono domandati se l’unificazione non sia stata un errore. L’economia italiana è rimasta stagnante mentre altre sono cresciute. Come può l’Italia oggi, in tempi più difficili, recuperare il terreno perduto? Quando Berlusconi lascerà la sua carica, l’Italia avrà un’altra possibilità per rinnovarsi?